• Integrated probe for single-handed operation. 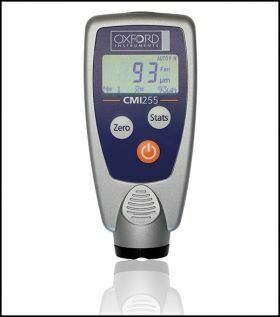 Includes: CMI255 Gauge with Rubber Protective Cover, Soft Carrying Pouch, Two AAA Batteries, 200um Test Standard, Steel Plate, Aluminum Plate. Unit comes with full One Year Factory Warranty.